Zimbabwe's Emmerson Mnangagwa says he will not overstay his welcome as President, as many accused his predecessor, Robert Mugabe, of doing. 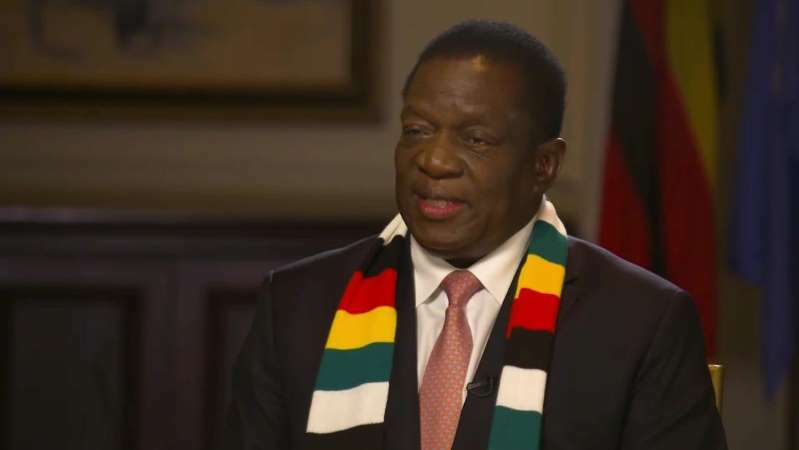 Speaking Friday to CNN's Christiane Amanpour in New York, Mnangagwa said that he wants to "embed constitutionalism in Zimbabwe" and that he believes "the past will be left behind." For 40 years, Mnangagwa stood next to Mugabe, who ruled Zimbabwe from its inception in 1980 until last year. Mnangagwa was the leader's right-hand man until being fired weeks before the November coup that toppled his longtime boss. Mnangagwa also promised to make public the findings of an inquiry into the 1983 massacre of the Ndebele ethnic group in Matabeleland, a region in Zimbabwe that was a center of opposition to Mugabe's regime. Mnangagwa was head of the Central Intelligence Organization, or secret police, at the time. During the massacre, people were gathered together and executed, pregnant women bayonetted, and civilians thrown into mine shafts. The International Association of Genocide Scholars, a global, nonpartisan organization, estimated that the secret police and armed forces killed at least 20,000 civilians. "Most of the dead were shot in public executions, often after being forced to dig their own graves in front of their family and fellow villagers," the association said in a 2011 report. Regarding the report, Mnangagwa said, "We should be man enough as a government to accept whatever recommendations are made." When asked whether he was prepared to apologize, Mnangagwa told Amanpour that he would not prejudge the report, saying, "I would not want to in advance say I will do this, I will do that." Mnangagwa said, "We should do everything possible under my administration to make sure that our people develop a culture of accepting opposing views within the community." His message, he said, is "peace," "unity" and "love among our people." He admitted he was part of "the old guard" but insisted he had brought in "people with expertise in various areas, the women and the youth."